The functional Safety Assessor assesses that really (this in comparison to the Functional Safety Manager) the right people did the right work at the right time with the right tools following the right procedures and guidelines. Functional Safety Assessment is driven by a lifecycle model and carried out by one or more Functional Safety Assessors. 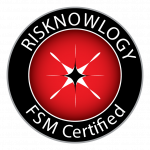 Functional Safety Assessment (FSA) is necessary to make sure that professionals who worked on SIL projects actually did what we asked them to do. Did they follow the plan? One ore more professionals do the work, one ore more professionals verify the work, and one or more professionals assess that work. This it nothing special related to functional safety. This is just good engineering practice. Which lifecycle where they suppose to follow and did they follow it? Who was responsible for which tasks in which lifecycle phase? Did that person actually carry out the work? Was the professional who carried out the work actually competent to do so? Was the professional who carried out the verification actually competent? Did they use the correct input (documents) to carry out the work and verification? Did they make modifications? And if yes, did they follow the modification procedure? These are typical assessor questions. Notice that a true assessor should not be technical. Technical issues are the tasks of the verifier. True assessment is more on a higher level. This does of course not mean that the assessor should not be familiar (read be technical) with the subject. It will be tough to carry out an assessment if you are not familiar with SIL and functional safety. Btw in practice you will notice that the word Assessment is often used to represent verification. Not really correct but done a lot, e.g. , in the railway business it is like this. All standards related to functional safety require Functional Safety Assessment. Typical standards include IEC 61508, IEC 61511, IEC 62061, ISO 26262, and so on. Not really. It is an integral part of a certification process. Once the assessor says all work was done according to plan we can certify. Do you have a functional safety assessment template? Yes, we have assessment plans for product developers, system integrators, engineering partners and end users.